I’m at home today packing for another trip. It’s a bit of business and a bit of pleasure. I first go to Berlin for the annual ITB, a travel trade show. I have a lot of appointments with our overseas travel partners, some of which I already know and some who I have not yet met. It will be a busy week. On the 13th, I have a big day. I’ll turn 40. And to celebrate, I’m headed to Spain! 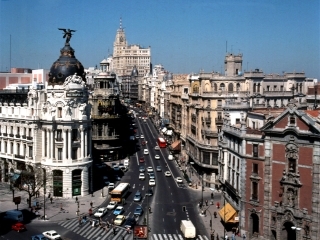 I’ll spend 2 nights in Madrid and 3 in Barcelona. I am most excited. Spain has been at the top of my list for awhile now and while I just had a two week vacation, I am trying to use up a few more days of annual leave before they “expire” in March. Nevermind I couldn’t take them in 2009…but that’s another blog entry. I have sort of just planned everything at the last minute, actually need to still book my hotel in Barcelona. But for me, this is just a taste of this fascinating place and I really want to do what I normally do when I first land somewhere – take a long walk and just let the city speak to me. Sure, I’ve printed off some materials, some walking tour suggestions, points of interest. But I’m the type of traveler who likes to look a map, get my bearings and then just go. Considering the birthday I am celebrating, I think this will be a fantastic way to enter into the next decade…totally enthusiastically and with terrific hope that there are a lot of great discoveries ahead.